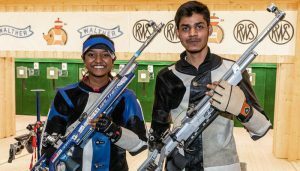 Competing in only his second senior competition, Divyansh shot a total of 249.0 in the 10m air rifle event to finish a creditable second in the International Shooting Sport Federation World Cup for pistol and rifle shooters. 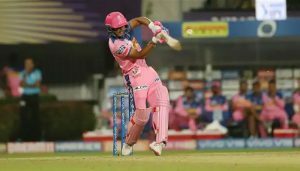 The 17-year-old Parag from Assam played without any fear in only his 14th T20 match to score a 31-ball 47 in a determined rearguard innings as the Royals chased down the target of 176 with four balls to spare. 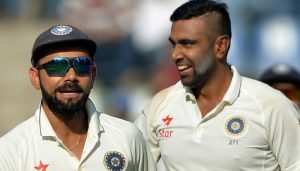 "I just played with passion, so does he (Virat). That's it. 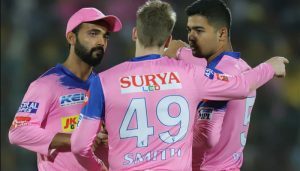 As simple as that," Ashwin said at the post-match press conference here on Wednesday night after KXIP lost to RCB by 17 runs. Dhawan is currently playing in IPL for Delhi Capitals, coached by former Australia skipper Ponting while former India captain Ganguly is associated with the franchise as advisor. Sachin holds the records for scoring the highest numbers of runs and centuries in both Test Cricket and One Day Internationals. He scored 15,921 runs and 51 centuries in Tests. While in ODIs, he has scored 18,426 runs and 49 centuries. "After I finished off the match and coming out, everyone was showering so much love. 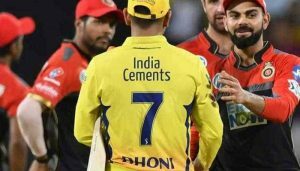 It felt special when Sourav sir lifted me, it was a different experience,"
Royal Challengers Bangalore (RCB) defeated Chennai Super Kings (CSK) by one run in the ongoing Indian Premier League (IPL) here on Sunday.